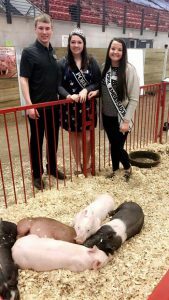 The Iowa Pork Producers Association has invited the state’s youth to participate in an annual contest to represent the association and the industry as ambassadors for nearly 60 years. The first Iowa Pork Queen was selected in 1960. The contest runner up became the Iowa Pork Princess. 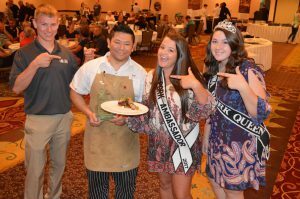 IPPA added another contest in 2006 when it began selecting a Premier Pork Youth Ambassador. IPPA now selects a queen and two ambassadors. The youth team will attend and assist with various events, in-state and out-of-state pork promotions and educational activities during a year-long reign. Events include the Iowa State Fair and World Pork Expo. The 2019 Iowa Pork Youth Leadership Team competition will be held during the Iowa Pork Congress in Des Moines in January. Contestants will participate in interviewing and communications exercises and be judged on their skills, poise, presentation and overall pork industry and agriculture knowledge. The competition will take place Jan. 22 and 23 at the Downtown Des Moines Marriott and the Iowa Events Center. Please select the links below for additional information and to register. The registration deadline is Dec. 1, 2018. Any questions should be directed to IPPA at (800) 372-7675 or info@iowapork.org.